Everyone enjoys Metal Slug, right? I don't think I've met anyone who doesn't. The simple, cool and addictive shooters are great time-killers and perfect for casual two-player action. Today you can find out for yourself, as Hamster have re-released Metal Slug 4 on PS4, Xbox One and Nintendo Switch. 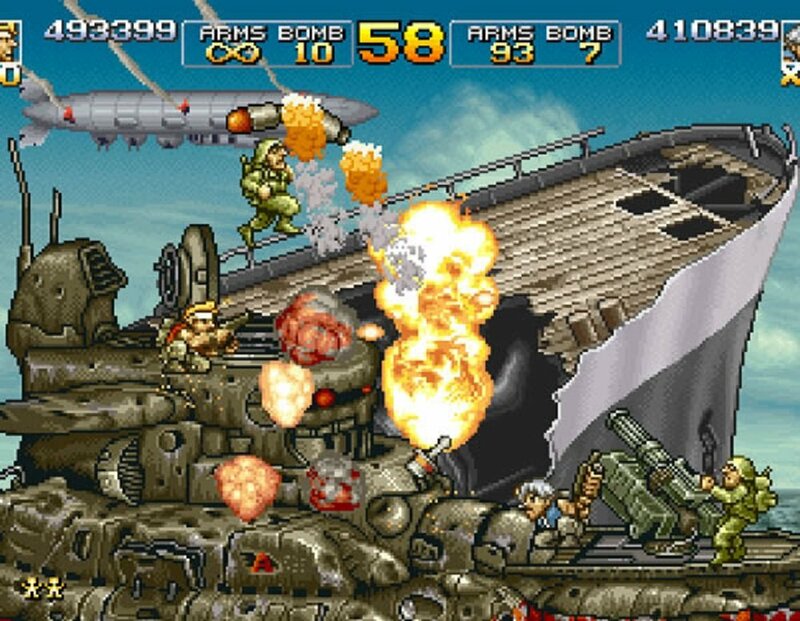 Originally launching in arcades and on the Neo Geo platform back in 2002, Metal Slug 4 was produced during SNK's bankruptcy, before their eventual rebirth as SNK Playmore. Nevertheless it contains the frenzied platforming action expected from the series as players take Marco, Fio, or newcomers Nadia and Trevor through a series of stages in order to find the source of a dangerous cyber-virus (It's the early 2000's, so "cyber").